On Tuesday March 7th, Alcott students and staff enjoyed a visit from Mystic Aquarium who brought a special friend Bluegreen. Greenblue is a penguin from South Africa and visited Alcott as part of a culminating activity for our One School One Book read. 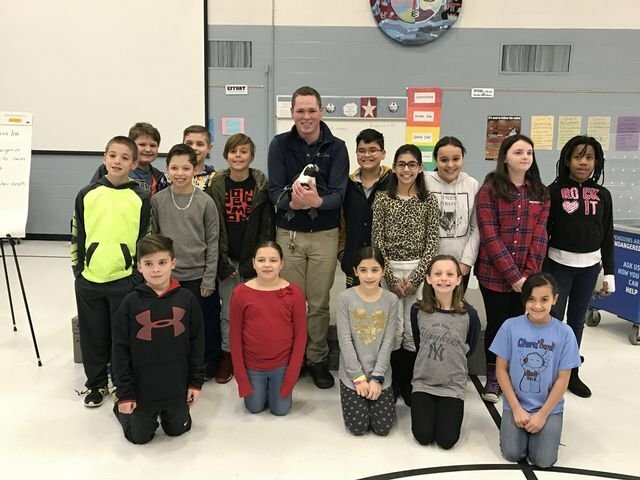 The students learned all about the life of a penguin who lives at Mystic, asked questions and participated in challenges that brought some of our students on stage. It was also mentioned that Greenblue may have taken part in the movie Mr. Popper's Penguins, which was the book we read as a school. Many thanks to Mystic everyone enjoyed the visit.